Home > Savings > Is it Time You Fixed Your Savings Rate? The interest rates on easy access savings accounts have been in decline for a number of years now. There have, however, been some interesting developments in the area of fixed rate savings accounts launched at considerably higher interest rates in the last few weeks. So, could now be the time to look in to one of these deals and start earning some real returns on your savings? The savings accounts offered by high street and internet banks are curious beasts. The rates they pay can vary from time to time and new product launches from a handful of banks are often followed with countless ‘me too’ products from competitors. Savings providers are usually quite tactical in respect to the rates they are willing to pay to attract new customers, and may not necessarily be dictated by the Bank of England base rate. They launch new products in order to pull in just the right amount of cash they require, hence the timing of the latest new savings accounts. Now that the market for easy access savings accounts has grown less competitive, there is a new influx of fixed rate products, bonds in particular that are targeting savers who are willing to tie in their money for longer time periods, for example twelve months or more. Until recently there was very little difference between the interest rates payable on instant access savings accounts and the rates paid on one year fixed rate bonds. This lack of value meant that there was very little point in giving up the flexibility of instant access to your savings and opting for a fixed rate of return on your cash. 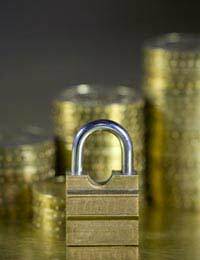 Now though, the situation appears to be changing and the rewards for locking your money away is appearing increasingly attractive with a number of new products being brought to market. For example, the Indian owned Bank of Baroda is offering a 12 month bond that pays a fixed rate of 3.15%, considerably higher than the 0.5% payable from most instant access accounts. The rate is available to those able to pay a minimum investment of £500. If you are worried about putting your money into an overseas bank, then it is worth remembering that all financial institutions are fully regulated by the Financial Services Compensation Scheme, meaning that the first £50,000 of your savings (£100,000 if you hold savings in a joint account with a partner) will be fully protected if the bank goes bust. If you are looking to secure a better rate, five-year bonds are playing the highest rates at present, with some paying up to 4.9% interest on a minimum investment also of £500. It is worth bearing in mind, however, that with interest rates still at record lows and predicted to begin rising in the next year or two, it might be better to hold off on tying your money in for the longer term. If you are still wary about committing your savings to a long-term deal you can always have the best of both worlds but putting half of your savings into a fixed rate deal and the rest into an easy access account. You could also consider a bond with a shorter life span, for example Nationwide offers a six-month bond paying a rate of 2.01% on balances worth more than £1. Whatever you choose, the good news is that there are more competitive deals now available for savers looking to make a better return on their cash.